Known to be a joyful and energetic young lady, Dorothy is an orphan girl who lived with her uncle and aunt in Kansas. One day, a cyclone devastated the village that carried their house away, including Dorothy and her dog Toto. The house landed accidentally on the Wicked Witch of the East and killed her. The witch’s death meant freedom for the Munchkins who were under her leadership. As a gesture of gratitude, Dorothy was given the witch’s magical silver heels. However, she realized that she was in a different place called Oz. Despite its enchantment and beauty, Dorothy still wanted to travel back to Kansas. 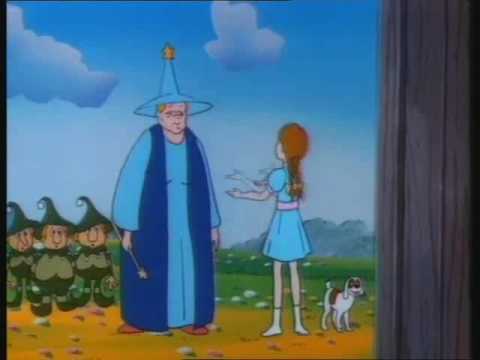 The Witch of the North advised her to ask the powerful Wizard of Oz who lived in the Emerald City. On the road, she met three companions who also wished to consult the powerful wizard: a scarecrow who wanted to have a brain, a woodman made entirely of tin who complains of having no heart, and a lion who wanted courage so he could be the real king of the beasts. They embarked on a journey to the Emerald City together and encountered several obstacles. Watch the movie to find out if Dorothy and her newfound friends got what they desired from the Wizard of Oz. Watch free movies online, anytime and anywhere at Viewlorium.